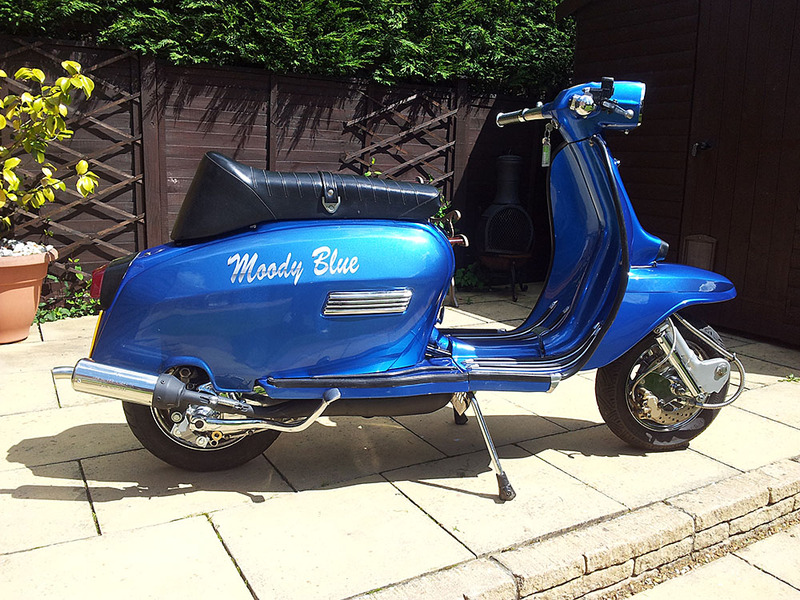 This entry was posted in DL, GP/DL and tagged brakes, DL, GP, mechanical, Moody Blue, Norfolk by crocodilejock. Bookmark the permalink. juddering brakes are usually down to a warped hub, which could either be an old Italian hub or a porr quality newer Indian one (genuine SIL hubs are generally good). On this scooter the front disc could also be warped (it looks like an Indian or Vietnamese front end so that could be the case). Either one however should manifest itself on a smooth road too though, albeit more so at higher speed (maybe all the fast roads near her are uneven?). If it’s only on uneven roads, then for the rear brake I’d suggest the cable is routed incorrectly and snagging/letting off as the suspension works. At the front I’d go straight to checking that that bearings are good and that everything is actually tight – including the wheel within the forks! Thanks Andy, very comprehensive answer. Rod… emailed you mate. First place i’d check are front dampers (shock absorbers). Nothing that can’t be easily fixed in any case, fairly certainly… Best of luck and of riding! Thanks for your comments l’ll check everything out And let you know the outcome. Great website by the way! Thanks Julie. Hope it helps.